At time of writing, the Apex Magic Castle Chalet at Smiggin Holes has given over 35 years of pleasure to over 25,000 disabled and/or underprivileged children. The participants have been able to enjoy a break from their normal routine and experience the unique opportunity to see and play in the snow. Many have been given the opportunity to see snow for the first time in their lives! Some participants have discovered that the Snowy Mountains is also a delightful location in the summer months and provides a peaceful and tranquil environment abounding with wildflowers. 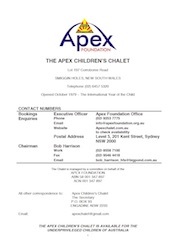 The Apex Foundation and the Association of Apex Clubs have enjoyed continuing pleasure and satisfaction from their efforts in maintaining this non profit facility. Countless hours of volunteer time from hundreds of Apexians have kept the Chalet up to date and in sound condition. 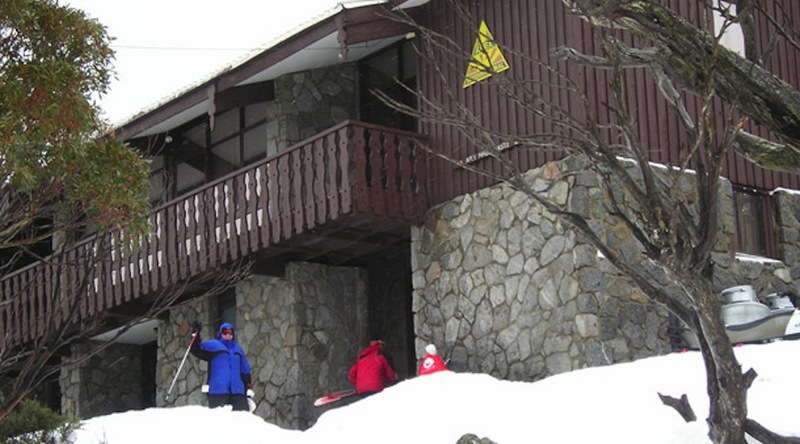 We also need to be ever vigilant to provide a safe and happy environment for the users of the Chalet and this is reflected in modifications to the Chalet and the Chalet usage rules. More recent legislation and the need to keep our facility up to date has placed a large drain on our resources and the management committee members are eternally grateful to the external and internal (Apex Clubs) donations of money, goods, and labour that we receive. Our best endeavours are employed in providing a facility of which we can be proud and one which can provide a remedial and safe break from the day to day routine of the Chalet users. Please enjoy this magnificent facility. The ongoing costs of running the Chalet are substantial. During a 12 month period running costs are in excess of $35,000. This does not include any major maintenance or compulsory safety equipment costs. To make the ideal of service the basis of all enterprise. To develop by example a more intelligent and aggressive citizenship. To provide a means of forming enduring friendships rendering altruistic service and building better communities. To promote international understanding and friendship.